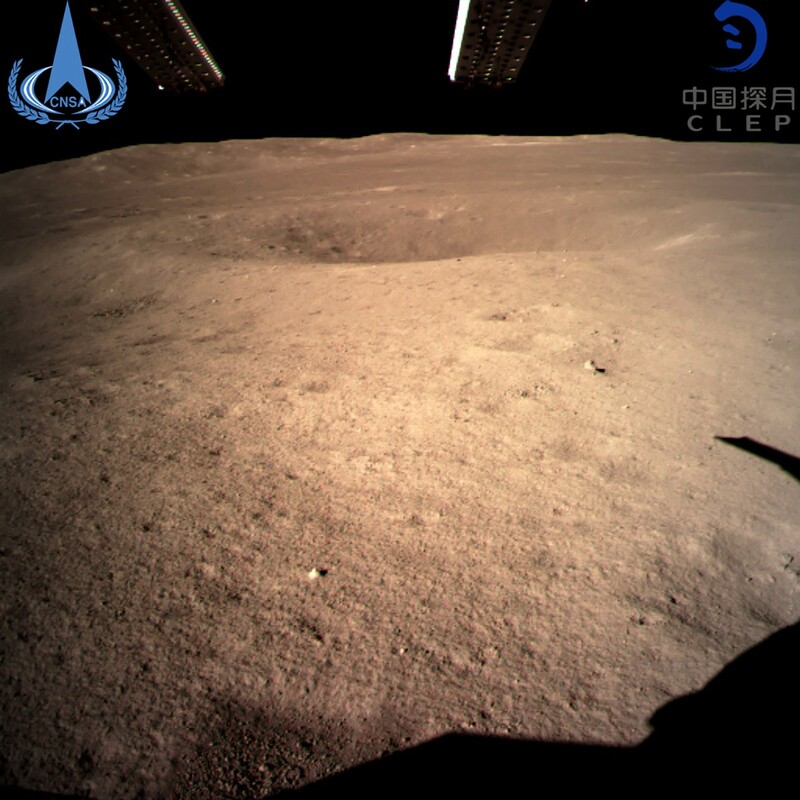 A photo provided on Thursday, Jan. 3, 2019, by the China National Space Administration, showing the first image of the far side of the moon taken by the Chang’e-4 probe. China reached a milestone in space exploration on Thursday, landing a vehicle on the far side of the moon for the first time in history, the country’s space agency announced. BEIJING — Hours after a space probe from China made humanity’s first landing on the far side of the moon, sending images of its surroundings back to Earth, the spacecraft deployed a rover on Thursday to take still more photographs and scan the surface of terrain never before traversed. The rover, weighing 300 pounds, rolled off a ramp on the lander at 10:22 p.m. Beijing time, laying deep tracks in the moon’s soft soil, its solar panels spread like wings, according to a photograph released to state media. The rover is now programmed to roam across a barren vista toward a distinct crater. Compared with previous missions, however, the reaction to Thursday’s milestones seemed strikingly restrained, both in the country’s state-run news outlets and on social media. On China’s most-watched TV news program early Thursday evening, the landing was not even one of the four top stories. The doodle of China’s biggest search engine, Baidu, paid subtle homage to the lander and its rover, but the news was relegated to the fifth item on CCTV’s 7 p.m. news program. In interviews, several people said they had paid little attention to the moon landing. The first of three photographs sent by Chang’e-4 appeared a little over an hour after the spacecraft touched down as planned at 10:26 a.m., Beijing time, in the middle of a crater not far from the moon’s south pole. It showed a barren, undulating vista pocked by a smaller crater, as did another picture sent 12 hours later as the rover began its journey.